And for me, add to that a total and complete lack of patience. I can't tell you the number of times that I have just stood up and walked away (usually to get out of doors!) from situations where I considered the conversation (and/or the people!) inane, boring, ignorant, etc. When I get to that point, whether sooner or later, I'm done. Doesn't matter if someone is in the middle of a sentence or a tall tale, I am gone! Perhaps with a "please excuse me" or not a word. And it doesn't matter if it is family or strangers, or just how badly my actions may piss them off. Oh man,I had to double check that was your poat and not mine haha! So true on all of it. Some people call our attitudes rude,but I just call it a higher standard of association haha. That was a good test Kitsune, I got INFP-T, but in other tests I got ISTP. I'd say the INFP-T description was about 80% accurate relative to my personality. I know that my personality type is definitely a subset, 4% according to the site link you posted. Regarding introversion/extroversion, I'm mostly introverted but have extroverted tendencies. Small talk is a balls. It seems like most people out there only ever make small talk. They never say anything real. Whole friendships and relationships are built on this. HOW?! With people these days, I tend to just let them talk, even if I'm not 100% interested. I would have been more abrupt when younger, that isn't the best way to deal with people on the long term. Social interactions can get boring, I know most people are either not interested in the things I'm into, or that an open conversation would make them uncomfortable. So I tend to say very little, except when I'm around certain people. There are people I will not talk to or engage for a variety of reasons, however, I tend to ghost those people rather than make a scene about it. Does anyone else here struggle with the knowledge that you could totally destroy some difficult person with a handful of sentences, but that the fallout wouldn't be worth it, and you'd end up feeling bad or being made to feel bad, so you just shut up and let them continue to strut and cluck about for the sake of long term peace..
Kitsune, FossilHead and Mebs like this. Fossil you cracked me up , I've not reached your level yet . That makes sense, I tend to not have limitless frenetic energy and spontaneity, which are required for social events, but now I'm often (not always) ok with my intermittent presence, even though people may start assuming I'm bored etc... Being behind a screen and anonymous may actually help people talk about deeper stuff, just like having the time to articulate your thoughts well does. On those occasions humor can be a very nice way out (especially if there are other people around and it's not a one on one). I find that when I feel happy with what I did during the past few days , or just feel nice overall, I can keep a fair distance with these people and not be emotionnally involved, sometimes it's even amusing. Usually if I'm negative with someone it creeps back up on me later on, on the other hand biting the bullet and accumulating frustration and anger is not worth it. Corvid, Kitsune and FossilHead like this. I know most people are either not interested in the things I'm into, or that an open conversation would make them uncomfortable. So I tend to say very little, except when I'm around certain people. There are people I will not talk to or engage for a variety of reasons, however, I tend to ghost those people rather than make a scene about it. Yep, I get that way too. Half the time, I can find a relatable medium. Other times, I can tell the difference in personality is so stark, any attempt is just a show. I don't have much patience for fake, or game playing. I do love a good, thought provoking conversation though. I can usually keep to myself in these moments, but a few times been pushed a bit too far. True, and good points. I've never regretted speaking my mind when needed, only doing so too late, or not at all when I should have. Pros and cons, pros and cons. Lifeapprentice, Corvid and FossilHead like this. 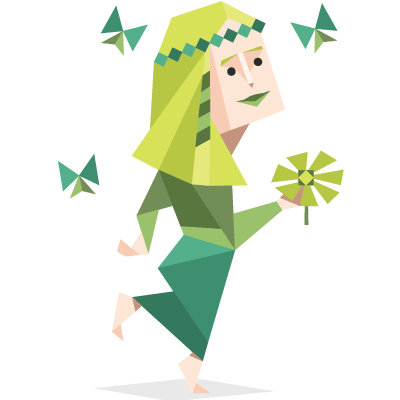 Entertainer ESFP-A Whatever that means. Mebs and Kitsune like this. Extroverted Sensing Feeling Perceiver, and Assertive. Entertainer seems to fit well for that. Confident, outgoing, forward, observant, yet thinks with the brain and feels with the heart in equal measure. The fun guy at the party that makes the rounds and talks to everyone. Yeah, pretty much. I guess it's fairly accurate. The way I see it, if this were a kingdom you INTJ guys would be kings and I would be.....ah.....Court Jester? Hmmmmmmm. Oh well I guess every kingdom needs one. Now where did I put those juggling balls and pies!? Kitsune and Mebs like this. I also find the personality types very interesting for the types of jobs you would like or ones you would dislike. They were very very accurate! A lot of "work by yourself on complex tasks" for my personality type, which is exactly what I like doing. Okay I got INFP. This part seems very true for the most part..
INFPs feel most comfortable among colleagues – they aren't interested in controlling others, and have a similar distaste for being controlled"
MrSpock and Kitsune like this.